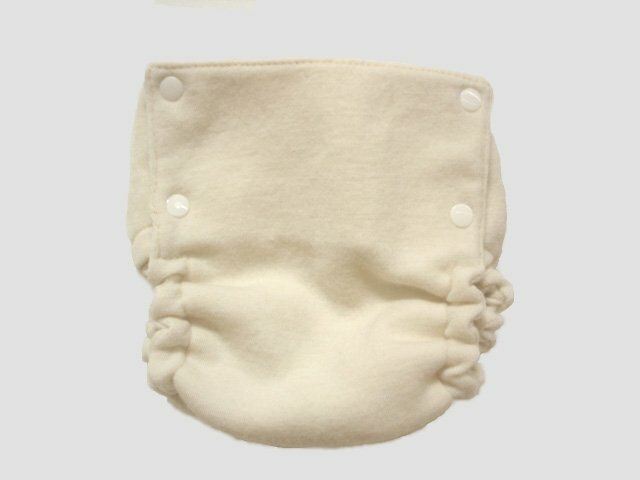 One of a kind cashmere diaper covers made from upcycled soft cashmere sweaters! Each cover is lined with Oeko Tex 100 certified Merino Wool. Easy to care for using our lanolin wash.
We make our wool and cashmere covers upcycling 100% Merino Wool and 100% Cashmere sweaters that we hand select for softness with your baby in mind. Each cover is lined with Oeko Tex 100 certified Merino Wool and has a 100% cotton interfacing in the wings and front (to hold the snaps securely in place). The Oeko-Tex Standard 100 is a globally uniform testing and certification system for all stages of textile production. This certification ensures that products are free from harmful substances. There is no finer certification than the Oeko-Tex Standard 100. It goes beyond the organic label! Each cover is one of a kind. Three rows of snaps and a latex free elastic provide an adjustable fit for your growing baby. We use only latex free elastics that have been sewn on the interior of leg openings and waist to avoid any allergic reactions. Wool is highly absorbent. It will absorb up to 30% of its weight in moisture and is slow to feel damp, yet remains breathable, allowing maximum circulation around your baby’s bum. It contains natural lanolin, which creates a waterproof barrier. Its elasticity means the cover fits well, yet moves with your baby. Wool is easy to care for. It doesn’t need to be washed as often as other covers and it is naturally anti-bacterial.